Doug Carragher was born on September 19, 1961 in Putnam, Ct. He was the second son and the fifth child of Mr. and Mrs. Francis W. Carragher. He was raised as a Roman Catholic and was sprinkle baptized as a baby. His first communion was at age seven and then at the age of twelve was confirmed into the faith. At the age of seventeen he joined the United States Army and was then married on October 8, 1983, to Miss Deborah Andrews. Even though they were raised Roman Catholic, Doug and Debbie moved from one ecumenical faith to another and yet still felt like something was missing in their lives. So on December 24, 1986, Debbie advised him to go and speak to the local priest about the overwhelming emptiness. That night Doug walked the two blocks from his home to the Catholic Church and after knocking on the parsonage door, a woman finally answered. After Doug requested to speak to the priest, she said,”Do you know what day it is?” After some discussion, she simply stated that she would try to get him in next week. Right then he decided that he would never step foot in a Catholic Church again. For seven more years he struggled to fill the void that was in his heart. In June 1993, he reported to the United States Army Sergeants Major Academy. While he was there, they paired him with a Ranger Buddy named Willie Vernon Watson. Willie was different from the rest of his fellow students because he was always smiling and relying on the Lord to take him through life and not on his own strength. On October 14, 1993, Doug asked Willie what made him so different from everyone else. He then answered as he always had many times before, “If I died right now, I would go to Heaven!” These words resonated in Doug’s mind as he tried to get some sleep that evening. The next morning he reported with Willie to take an Army Physical Fitness Test. Willie failed his push-ups and was complaining of weakness. After their run, Willie died right there in Doug’s arms. That same day through the testimony of an Independent Baptist Chaplain, Doug came to accept the Lord as his personal Savior. No one had ever told him that he could know for sure that he was going to Heaven. This chaplain showed him I John 5:13 and then led him through Romans 3:10, 6:23, 5:8, and 10:9,10. After Doug made a profession of faith, the chaplain advised him to visit with the Independent Baptist Pastor Bob Stewart of Hill Crest Baptist Church. From that day forward, he has always attended Independent Fundamental Baptist Churches. He was able to lead his first soul to Christ a few months later and by God’s grace he has never lost the desire to share the gospel. Nine months after his salvation, Debbie too came to know Christ as her personal Savior. They have two boys, Douglas II, who was born on February 20, 1991 and Daniel, who was born on April 29, 1994. Douglas was saved at the age of five. Daniel prayed a prayer when he was eight years old but struggled with doubts of security until recently when he too gave himself unconditionally to our Lord and was baptized. After arriving in Germany, they helped plant Lighthouse Baptist Church in Heidelberg, Germany their sending church. Through that time they were able to see many soldiers and the family members come to know Christ. They literally watched the Lord take a few and multiply them in His hands in order to reach the lost community. 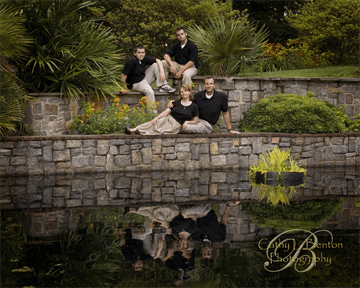 Due to this blessing, Doug prayed that the Lord would use him in military work. Soon after, the Lord placed him in touch with an old pastor friend from Virginia who reminded him of a former deacon who was working with Armed Forces Baptist Missions (AFBM). After speaking they agreed to pray on how the Lord could use them to bring military men and women to Christ. The Lord then providentially brought Doug and this former deacon together for the September 11th reunion at the Pentagon. 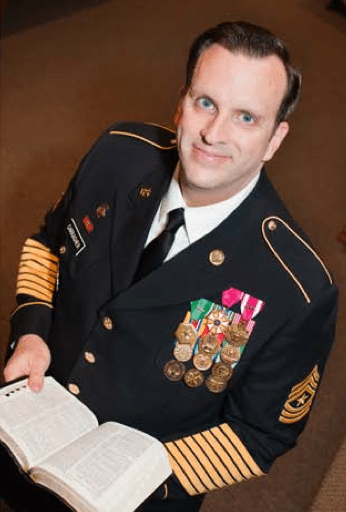 Upon retirement from the US Army, Doug joined AFBM, a ministry of Good News Baptist Church in Chesapeake,VA.The Carraghers were members of Engleside Baptist Church in Alexandria, VA and serving under the preaching and mentorship of an Independent pastor. In 1997 while attending a revival service with Rev. Dave Kistler, Doug surrendered his life to preach the Gospel. After this surrender, they served as Sunday School teachers and Evangelism Leaders. Doug was also able to preach in Junior Church. After transferring to Fort Drum, NY, he was called to serve as an Associate Pastor, Interim Pastor, and AWANA Commander. God used them to help start two churches, which later led to starting three more. Two months after making the decision to retire from the Army, Doug was promoted to the rank of Sergeant Major. Doug and his Pastor saw it as the Lord’s call for workers in Germany. So he stepped down as the Pastor’s successor and prepared for his deployment to Germany. Doug had an exemplary military career serving in three countries and overall in seven locations. By God’s grace he was able to meet world leaders including two U.S. presidents. His numerous awards include 30 medals. He is also the twenty-ninth member of the US Army Recruiting and Retention Hall of Fame residing permanently in the Pentagon. He is currently serving as the General Director of AFBM. He is a well sought after military speaker, deputation speaker, church/college motivational speaker, and mission’s conference speaker. His position involves visiting mission fields to evangelize the lost, to encourage missionaries and indigenous churches, and to seek places to plant new churches for missionaries. He mentors churches on effective use of God-given resources. Additionally, he directs the mission office in their work of serving churches efficiently. In his time as General Director, the Lord has blessed and the ministry has doubled in their missionary outreach. Doug is currently finishing his first book, Deputation for God-Called Missionaries. It is a greatly needed manual outlining the deputation process for Independent Baptist missionaries. Doug’s education includes an AA in American Literature, a BA in History and Secondary Education, a BA in Pastoral Studies, BS in Business and Marketing, a MA in Business Management, a MA in Religious Education and a ThD Doctorate in Theology. Please contact AFBM to schedule speaking engagements with Dr. Carragher.